With the launch of the National Innovation and Science Agenda (NISA) at the end of 2015, the Australian government reiterated its commitment to innovation and science. Prime Minister Malcolm Turnbull says that the NISA recognises that the “talent and skills of our people is the engine behind Australia’s innovative capacity”. However, the latest Professional Scientists Employment and Remuneration Report (http://tinyurl.com/hopb4e8) suggests that recognition and reward issues underpin a range of serious systemic issues in science, technology, engineering and mathematics (STEM). Researchers act as if they own their data, but this is counterproductive to the pursuit of science. Most people would assume that any data produced and published by publicly funded research would be available to anyone interested in it, either through a public repository or upon reasonable request. This is not the case. Recent decisions in the USA and the European Union have limited the use of non-human primates in laboratory-based research. 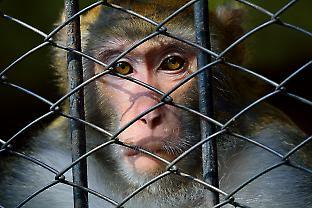 The US National Institutes of Health, for example, has already stopped using chimpanzees in research in its facilities, and is currently revising protocols for the use of all non-human primates. Can Journal Publishing Be Democratised? A recent Academy of Science project found strong consensus for “a future Australia that is more caring, community-focused and fair than present-day Australia”. That would be a truly lucky country, a wonderful legacy to future generations. Donald Horne described Australia in 1964 as “a lucky country run mainly by second-rate people who share its luck”. The phrase “the lucky country” quickly became part of the language, though its message was often misrepresented by people who had not even read the book, or who had certainly not grasped its ironic meaning. Over the past 12 months there has been a significant rise in awareness in Australia of the impact of perfluorinated chemicals on ground and surface water, soils, food and human health.